As solid flooring goes, this is a great example of an affordable yet high quality and visually impacting floor that will last in your home for years and years. 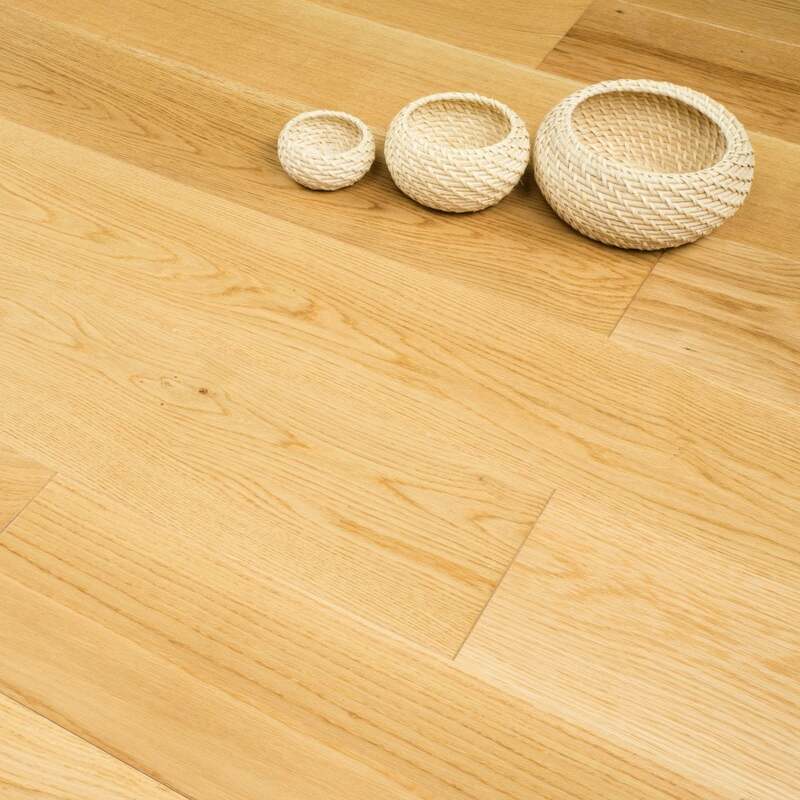 This 20mm thick Hailswood Solid Oak is 120mm wide, with random lengths ranging anywhere between 310mm and 1400mm. As it has a Tongue and Groove fitting profile it will take less time to have your dream floor laid and ready for use. We only sell quality prefinished hardwood flooring as the factory finish is far more durable than any finish that can be purchased. This also eliminates the timely task of finishing the unfinished floor once installed. This product has been treaded with a UV Lacquered finish which offers a smoother matt surface with an extra protective high resistance coating. One of the best things about this floor is that with the thickness of the board, it can be stripped down and treated again more than once, so you can make the floor look different or new again, or if you like the look of aged oak, simply let the floor sit and absorb the years in your home.